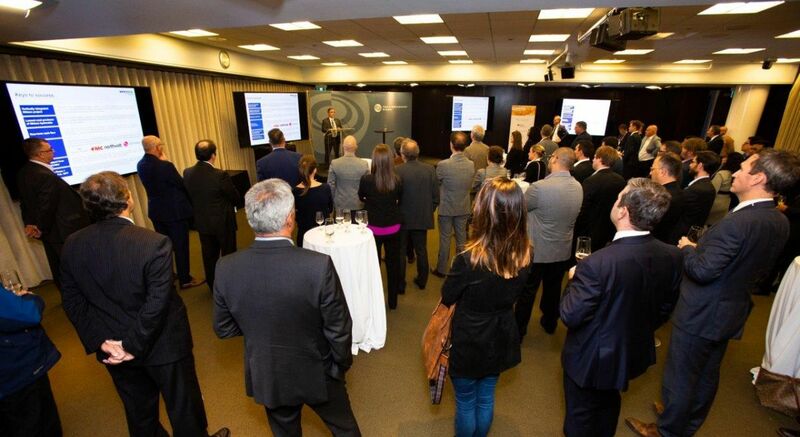 Québec Bourse hosted last September 25th, its annual September cocktail. Guy Bourassa, president and chief executive officer of Nemaska Lithium Inc., shared with us his career path as well as the company’s evolution. Resiliance, discipline and tenacity are amongst the factors which have enabled Nemaska to evolve from the micro capitalization stage to the company that has raised 1.1 billion dollards in financing earlier this year. Guy Bourassa, once a young securities lawyer and today a seasoned manager shared with humor, his business and success vision. Nemaska is a company which without the public markets, would unlikely not be where it stands today. Thank you Guy and to all who joined us on the 25th.